Since the ailerons are a natural part of the wing, it makes sense to make the wing first, then cut the aileron out of it. That way we know it’ll fit properly. Still, the process of slicing up your newly constructed wing is a bit frightening! 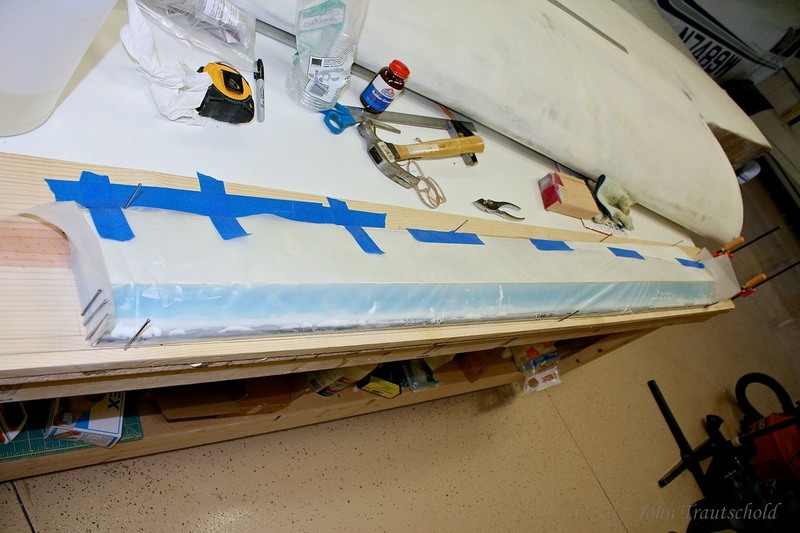 Since the right wing is already on the table, let’s start by measuring and then cutting out the aileron from that wing. Notice that the cut is not straight! You’ll see why a bit later. Because the cut is not straight, measuring both the top and the bottom of the wing is critical. Slicing through the wing is also critical. Thank goodness for my favorite tool, the Dremel Multi-Max! After the wings get finished we have to bugger them up by cutting stuff out - like the aileron! Digging out the aileron wells turned into a major project. The construction manual calls for a nice, rounded inside area which creates space for the aileron balance weight to move through. The trick is to get it deep enough before doing the layup which strengthens the well because, once that well has fiberglass on it, good luck making it any deeper! After a trip to Home Depot for a couple of round pieces of PVC (1 1/4” and 1/2”) I made my own rounded sanding tools. That worked good but my arm muscles still ached after doing the work! The rough aileron well - it needs a lot of work yet! The aileron well needs to be rounded out inside the wing. I bought a hunk of plastic pipe and glued some sandpaper on. It works pretty good! 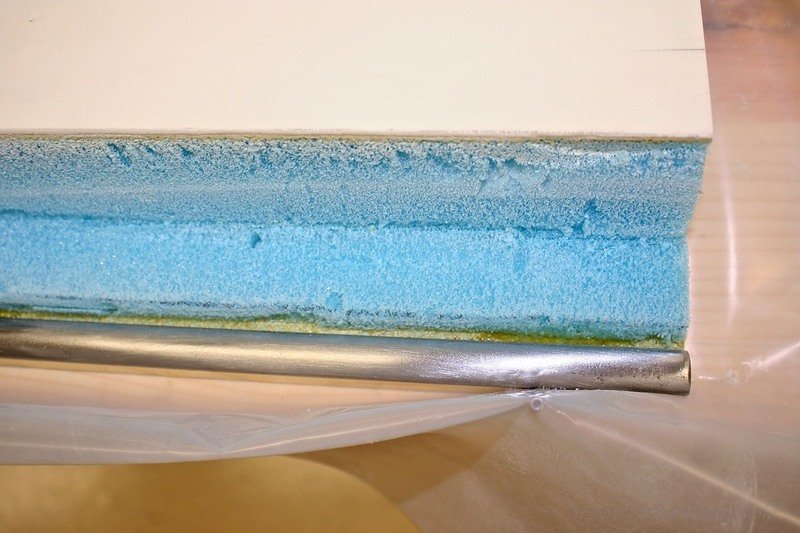 Here’s a photo of the left aileron well after the sanding is finished. One thing I haven’t yet mentioned is the need to sand the torque tube slot that goes from the wing rib through to the aileron. Notice the hole at the far end (left side) in the photo below. Even though the manual doesn’t talk about checking this, I did anyway and I’m glad that I did! Sanding out the hole for the long torque tube requires a long pole of some sort (I used 3/4” conduit) with sand paper glued on. I did test fittings with that torque tube and the aileron to make sure everything worked properly. More about that later, but keep in mind that it’s best to sand that open now instead of later! The aileron well is prepped and ready for fiberglass and epoxy to strengthen it. 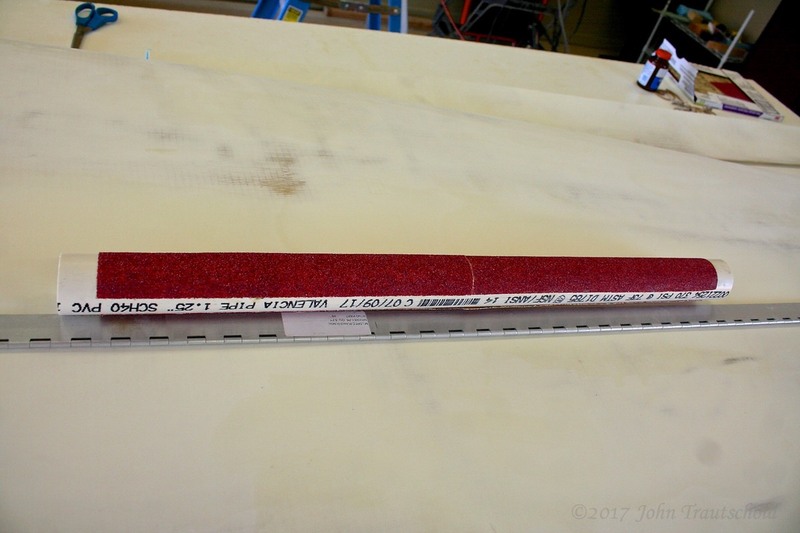 The manual recommends making a speciality sanding block in order to get the angles just right on the inside edge of the aileron. The book calls for a 70 degree edge. Prepping the aileron for sanding. 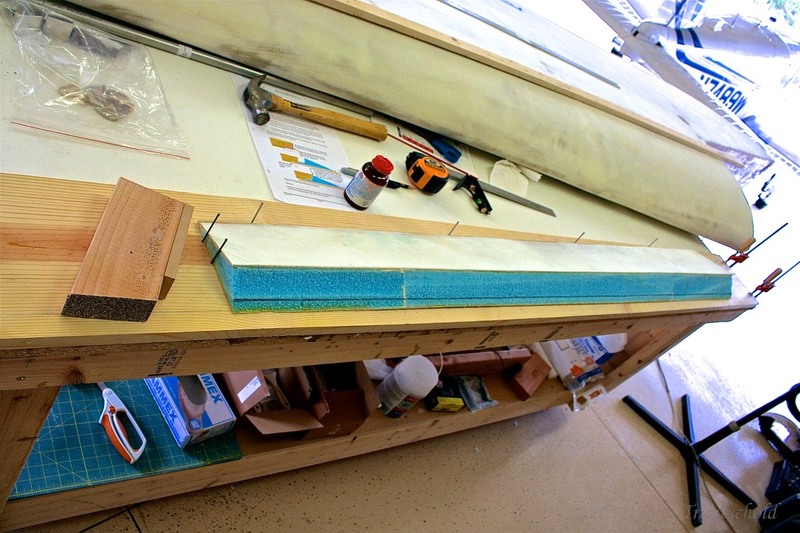 To the left is another homemade sanding block needed for sanding the proper angles on the foam. The foam at the top is angled 70 degrees away from the skin. 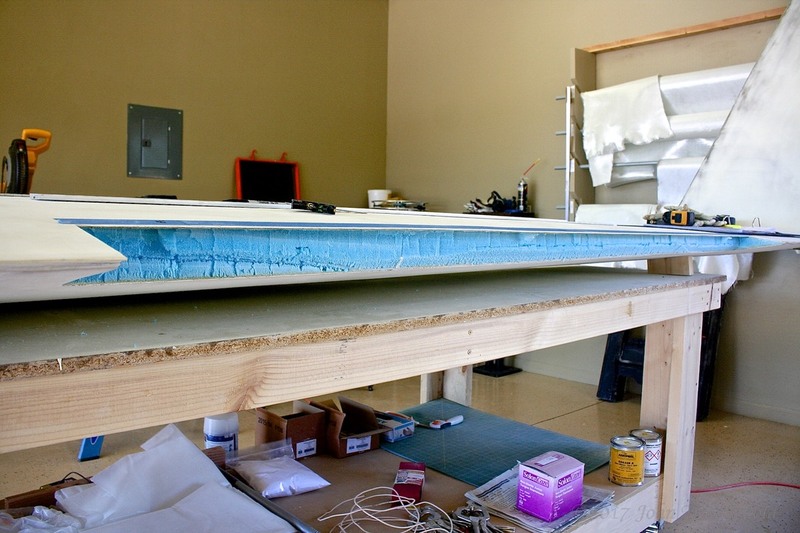 Some of the foam at the bottom is removed from the skin to make way for the counterweight. 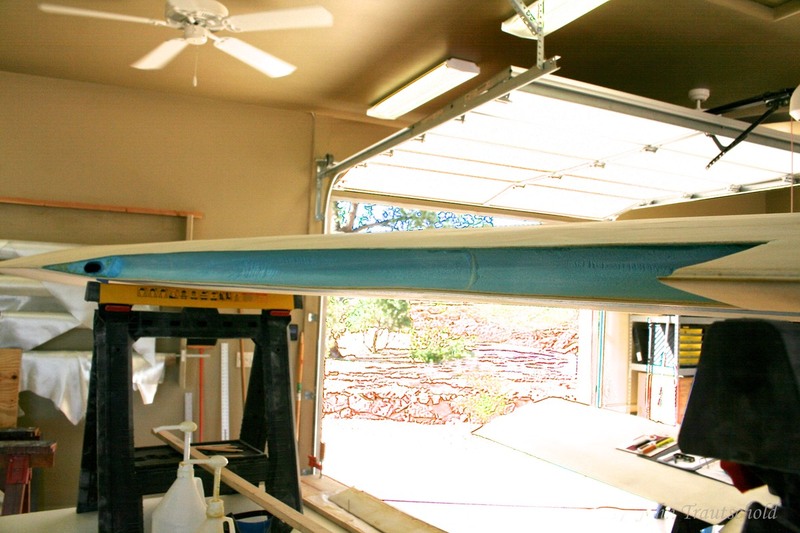 The steel rod in the photo above is the aileron counterweight. This needs to get glued to the bottom edge of the aileron. 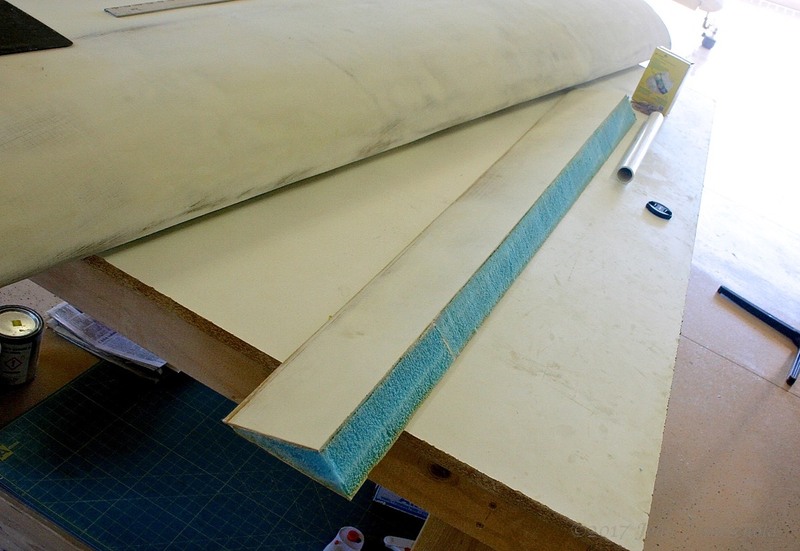 Once the glue is set, we do a layup from the bottom, up and over the foam to hold it in place. See the next photo. I’m using plastic wrapped around the counterweight in order to keep the epoxy from running out. It actually worked well! In order to keep the counterweight in place while the epoxy dries, and to keep the epoxy from dripping all over the place, I used this plastic sheet to control the process! Now that this step is complete, I need to finish installing the torque tube and hinge plates, followed by fiberglass layups to cover it all and strengthen the completed aileron assembly. Click here for that process.